While $2 million won’t be on the line this weekend, the Final Four features a rare brand of basketball that TBT fans have become accustomed to watching. Every play matters, whether it be diving on the floor for a loose ball in the first half or making a key defensive stand with only seconds remaining. To win in March, you need a lot of the same characteristics it takes to win in TBT – notably mental toughness and an unwavering trust in your teammates. Considering we've seen the Matadors play that same brand of basketball the past two summers, it's no surprise to see Texas Tech in the Final Four. Even though it's been a while since we've seen a Michigan State or Virginia alumni team (and we've never had an Auburn team), we've had plenty of alumni from these three schools pass through TBT over the years. Let's dive in and take a look! Considering Auburn is competing in its first-ever Final Four this weekend, seems like it's only right that they carry the momentum over to TBT 2019. If the Tigers do pull together an alumni squad, Cinmeon Bowers would be a no-brainer choice to help the lead the charge. After starting his collegiate career at Chipola College, Bowers transferred to Auburn in 2014. The 6-foot-7 forward made an immediate impact, averaging 12.1 points and 9.6 rebounds per game in his junior season and 10.5 points and 9.6 rebounds in his senior campaign. While he never got the chance to play in the NCAA Tournament, Bowers does knows a thing or two about playing single-elimination basketball. 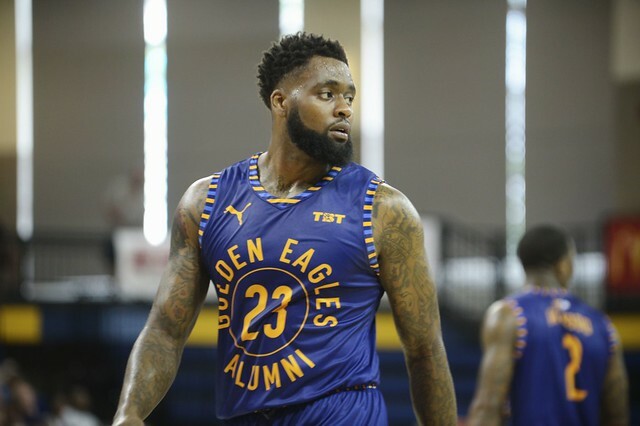 He suited up with his hometown Golden Eagles in TBT 2018 - the Marquette alumni team that made a run to the Semifinals in Baltimore. In the team's five games, Bowers averaged 3.8 points and 1.4 rebounds per game. While it would be tough to pull him from Tampa 20/20 considering they were just accepted into the TBT 2019 field, another guy with TBT experience is LaRon Smith. The 6-foot-8 forward played at Georgia State and Bethune-Cookman before transferring to Auburn for a graduate season in 2016. In addition to playing for Tampa 20/20, Smith is a member of the U.S. Virgin Islands National Team. He most recently competed with the team at the World Cup Qualifiers in February. Michigan State is no stranger to making deep tournament runs. That's why it was so surprising that the Golden Eagles beat the Spartan Heroes by 27 points in the Second Round of TBT 2016. With that being said, it wasn't for a lack of talent. The Spartan Heroes roster brought together some of the best ballers that East Lansing has seen in a long time, including 2010 Final Four participant Korie Lucious, seven-year NBA vet Charlie Bell, and longtime overseas pro Brandon Wood. Considering the success of the Ohio State Alumni in recent years and the emergence of Andrew Dakich's Big X squad, it wouldn't be shocking to see Michigan State throw their hat back in the ring sometime soon. Out of all the Final Four schools, Texas Tech is the only one with an active alumni team in TBT (although we hear that could be changing very soon). Much like the Lubbock-based Red Raiders, it's been an interesting ride for the Matadors the last couple years. In TBT 2017, the team drew the Washington Generals in the first round. Yes, you read that correctly, the same Washington Generals that haven't beaten the Harlem Globetrotters since 1971. Even though all the pressure was on the Matadors to send the Generals home empty-handed once again, the Texas Tech alumni gutted out a 76-72 win behind 17 points from 2011 alum and decorated overseason pro John Roberson. The team faced Overseas Elite the next day, and while they led by two at halfitme, the four-time champs ran away with it in the second half. The Matadors reloaded during the offseason, adding 2018 grads and Elite Eight participants Justin Gray and Niem Stevenson to the team. The new-look roster clicked right away, as the Matadors opened up Midwest Regional play with an 80-63 win over Bearcat Jam (Cincinnati Alumni). Much like TBT 2017, the team ran into the toughest of Second Round matchups. They were tasked with playing the defending Midwest Regional champion Ohio State Alumni...in COLUMBUS. 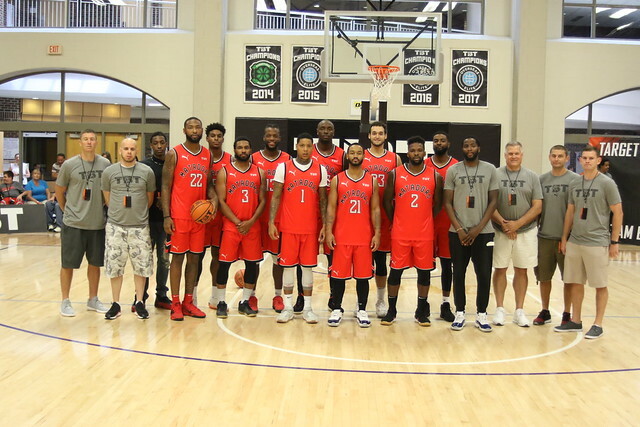 Although they once again fought hard and held a one-point lead through three quarters, the Ohio State Alumni eventually rode the home-crowd advantage to an 82-73 win. While time will tell what 2019 has in store, if history is any indication, the Matadors will be right in the thick of things once again. If you watched TBT 2018, you know that one of the best players in the whole tournament hails from the Univesity of Virginia. That would be none other than 2014 grad Akil Mitchell. The 6-foot-8 forward was dominant in Louisiana United's run to the Super 16, averaging 16 points, 10 rebounds, and 2.7 assists per game. He has since committed to play for The Region in TBT 2019. While it was his offense that made him a household name last summer, during his Virginia days he was best-known as one of the toughest defenders in the country. In his senior season, Mitchell was named to the ACC All-Defensive Team and helped the Cavaliers reach the Sweet 16. He has since played in the G-League and overseas, with his most recent stop in southwestern France. 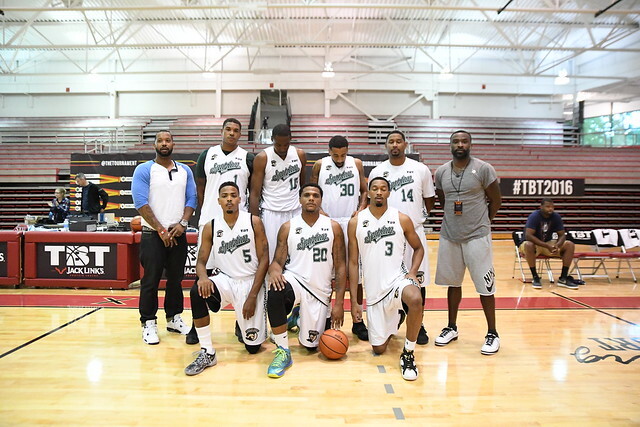 While it didn't exactly end up the way they wanted, the Cavaliers also had an alumni team compete in TBT 2015. 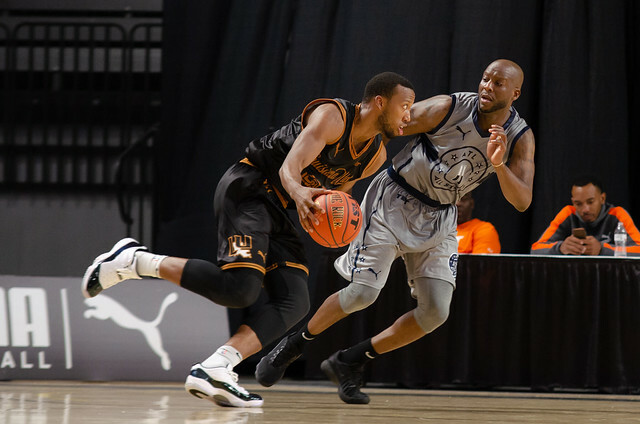 Although Team Virginia lost in the First Round to Dirty South, 95-88, they received big contributions from former UVA captain Mamdi Diane (30 points), 2010 alum Jerome Meyinsse (25 points, 8 rebounds), and sharpshooter Sammy Zeglinski (12 points, 6 rebounds, 4 assists). Zeglinski, who graduated in 2012 and ranks fifth in UVA history in 3-pointers made, also suited up with the Broad Street Brawlers in TBT 2017.